Hi there! My name is Michelle Wheeler and I'd like to tell you a little bit about myself. I spent part of my summer vacations with my grandparents during my early school years. One summer my grandmother introduced me to sewing. Together we made pillows for a fun project. At the age of eleven, I began to sew some of my own clothes. 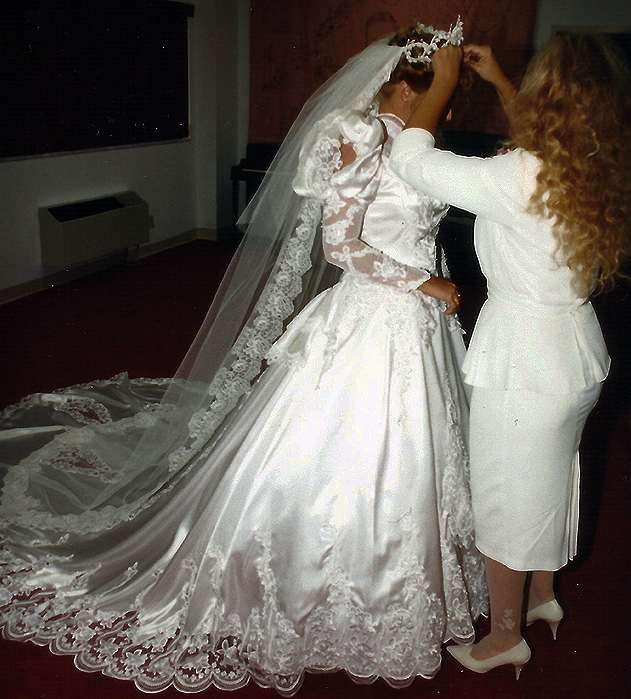 When I married I made my wedding dress. I worked for Cabbage Patch Kids and designed and manufactured some of their baby clothing. These experiences challenged my abilities and honed my craft. My mother grew up with horses passing the pleasure of riding to me. We have participated in several equestrian drill teams in Florida and Georgia. Costumes were difficult to obtain and quite costly. With the realization that drill teams, rodeo queens and other individuals in the horse world needed a place to supply spectacular costuming on a budget, Hitch-N-Stitch was born. The vision was to create a place providing a unique experience unmatched by any other company. Customers can design one-of-a-kind costumes, yet have prices comparable to mass produced clothing. We make items from the top of the rider to the hoof of the horse, providing a complete, unique matching ensemble. The combination of over 30 years sewing experience with my drill team participation, provides the needed knowledge specific to the equestrian world. Hitch-N-Stitch provides the complete "unique look" costuming that will fit your budget, meet the demanding rigors of the sport, and stand the test of time, making your dreams just sew!